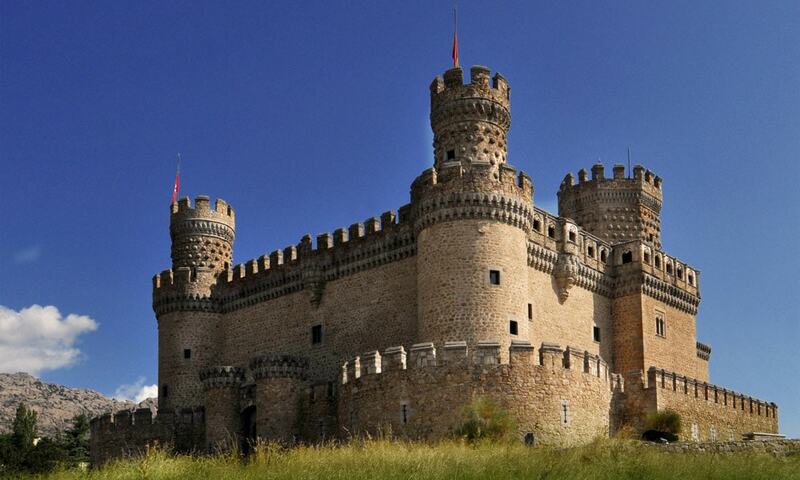 The New Castle of Manzanares el Real is a palace-fortress erected in the 15th century at the foot of Sierra de Guadarrama mountains. Its construction began in 1475 on a Romanesque-Mudejar hermitage and today is one of the best preserved castles of the Community of Madrid. It was raised on the river Manzanares, as a residential palace of the House of Mendoza, in the vicinity of an ancient fortress that was abandoned once the new castle was built. The castle now houses a museum of Spanish castles and hosts a collection of tapestries.